The director of HSJI is Teresa White, faculty at the Indiana University School of Journalism. She taught high school journalism and English for 23 years in Indiana, plus served as an HSJI faculty member for 21 summers. Her connection to the institute began in 1979, when she attended HSJI as a student journalist. Questions? Email White at terwhite@indiana.edu. The administrative services coordinator of HSJI is Linda J. Johnson. Linda coordinates the registration process for the High School Journalism Institute summer program, as well as manages various administrative duties. Linda has been with the university since 1982 and with the institute since 1987. If you have any questions pertaining to registering for HSJI, send her an email at ljjohnso@indiana.edu. 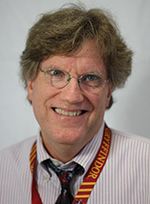 Alan Bates teaches AP English, video announcements/broadcast journalism and coaches the debate team at Princeton High School in Cincinnati, Ohio. He earned his B.A. in political science from Miami University, Ohio, before getting an M.A. in journalism and English education from Ohio State University. He is the television news coordinator/instructor for two sessions this summer for HSJI. Robin Bilinski is the English department chair and yearbook adviser at NorthWood High School in Nappanee, Indiana, where she has taught since 1987. A graduate of Hanover College with a B.A. in English and Indiana University with an M.S. in education, she has taken numerous journalism courses both at Ball State University and at Indiana University, where she earned her journalism certification. Her staffs have earned numerous state and national honors, including IHSPA Hoosier Stars; NSPA All- Americans, Pacemaker Finalists and Pacemakers; and CSPA Silver and Gold Crowns. She was named the 2014 IHSPA Sengenberger Adviser of the Year. Bilinski has served the scholastic journalism community continually as a speaker and instructor at various workshops, including Jostens workshops, Ball State J-Day, IHSPA Fall Convention, and NSPA and CSPA conventions. In addition, she served as a member of the Indiana High School Press Association board for more than 10 years, first as an at-large member and ultimately as president. Most recently, she was a member of the local planning committee for the 2016 NSPA Fall Convention in Indianapolis. Kristine Brown, MJE, teaches journalism and English and advises the publications at Fishers High School. Brown received her B.A. in English from Bradley University, her transition to teaching certificate from Ball State University, her journalism teaching license from Indiana University and her M.A. in journalism from Ball State University. Brown is a judge for the Columbia Scholastic Press Association, a past board member of the Indiana High School Press Association, and a member of the 2016 JEA national convention local committee. She has also taught sessions at the JEA national convention, at IHSPA fall conventions and at Ball State’s J-Day. Under Brown’s guidance, the FHS newspaper developed an award-winning online news site. Both the newspaper and yearbook staff have won numerous Ball State J-Day awards, Quill & Scroll awards and IHSPA awards, including Hoosier Stars. Claire Burke, MJE, teaches journalism and English at Lawrence Central High School in Indianapolis, where she also advises 2017 Hoosier Star-winning Cub Reporter newspaper and the Bear’s Den yearbook. Burke has served as a JEA State Director as well as a critique judge for NSPA and various state organizations. Her students have received recognition from NSPA, JEA and state scholastic press associations. She was a 2015 JEA Rising Star, and loves seeing students create journalism amazingness every year! 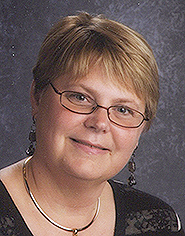 Susie Coleman is an assistant principal and student activities director at Greenfield-Central High School. She taught yearbook, newspaper and journalism for 16 years before going to administration. She previously taught at other high schools, such as Portage and Columbus North, and she taught at West Monroe High School in West Monroe, Louisiana, for a year.Coleman received her B.A. in journalism, English and education from Indiana University, and her M.S. in secondary education administration from Purdue University-Calumet. This summer, Coleman will work with students as well as advisers while at HSJI. Julie Elston, a graduate of Indiana University, advises newspaper, and teaches journalism and honors English at Crown Point High School in Crown Point, Ind. An adviser for 23 years, she is the Indiana High School Press Association’s 2013 Adviser of the Year as well as Crown Point Education Association’s Crystal Bell teacher of the year. Elston is an at-large board member and a past-president of the Indiana High School Press Association. Inklings, the CPHS newspaper, has been recognized as a Hoosier Star, NSPA Pacemaker, CSPA Silver Crown, and a Quill and Scroll George H. Gallup publication and her students have been recognized as Indiana’s Journalist of the Year, runner up, and finalists. Jeff Gabbard is the journalism adviser at Richmond High School, where he teaches newspaper, yearbook, beginning journalism and photography classes. He also is a photography instructor at Indiana Wesleyan University. Gabbard has travelled throughout the United States on assignment for various magazines and action photography companies. He is a 1986 graduate of Indiana University with a bachelor’s degree in journalism education and recently completed his master’s degree in technology integration. In 1986, his yearbook staff was one of the first in the country to totally produce a yearbook using the “new” technology of desktop publishing on a Macintosh computer. His staffs are consistent award winners in scholastic journalism competitions. Sam Hanley is the English department chair and yearbook adviser at Southport High School in Indianapolis, where he has advised The Anchor for 15 years. He is a 2002 graduate of Indiana University, where he earned a B.S. in journalism and education. In 2009, Hanley completed a master’s degree in school administration from the University of Indianapolis. The Anchor staff is the recipient of state and national awards, including IHSPA Hoosier Stars and NSPA Pacemaker finalists. Hanley is the president of the Indiana High School Press Association board of directors and recently served on the local committee for the 2016 NSPA/JEA convention in Indianapolis. 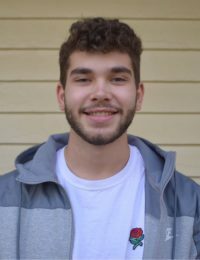 He has presented on yearbook design, theme development and sales at the IHSPA fall convention, NSPA national convention, Ball State’s J-Day and Josten’s workshops. Lori Henson, PhD’13 (IU journalism) is assistant professor in journalism at Indiana State University. Her research is on religion, politics and American media culture. She is a former newspaper reporter who covered agriculture, business and general news in Terre Haute, Ind., Savannah, Ga., and Idaho Falls, Idaho. She began teaching at HSJI as an IU graduate student in 2006. She teaches reporting, editing and multimedia journalism. She said she enjoys spending each summer working with students at HSJI, some of whom have turned up in her college classes years later. She lives in Terre Haute with her two dogs, who are ill-behaved but adorable, she says. Dean Hume has been teaching high school or college-level journalism classes and advising subsequent publications for 34 years. A former reporter and columnist for various daily and weekly papers, Hume currently teaches Journalism I, II and III honors-level journalism classes at Lakota East High School in Liberty Township, Ohio. He is in his 23nd year advising Spark, a perennial Gold Crown, Gallup, Pacemaker and JEA National Best of Show winner as well as a two-time SPJ student Publication of the Year. Hume is a Dow Jones Newspaper Fund Distinguished Advisor, a U.S. Department of Education Presidential Scholar Recognition winner, an Ashland Oil Educator Achievement winner, a Texas Journalism Education Association “Trailblazer” recipient, a Lakota Schools District Educator of Excellence winner and a NOSPA Hall of Fame Advisor. Hume also serves as an adjunct professor in the Department of Journalism at Northern Kentucky University. When not coaching his son’s baseball team, Hume teaches at journalism workshops and state conventions. Adam Maksl teaches journalism and advises student media at Indiana University Southeast. He has taught college journalism at the University of Missouri and Ball State University. Maksl worked briefly as a high school journalism teacher, and for four years he was assistant director of Ball State’s Journalism Workshops office, where he ran outreach programs and did some public relations and marketing for the BSU journalism department. Most recently, he has taught for as well as directed programs designed to help high school publications use multimedia storytelling tools to better report on their communities and engage readers. Maksl has a bachelor’s degree from Indiana University, a master’s degree from Ball State University, and a Ph.D. from the University of Missouri. After 41 years of teaching journalism, photography and English, and advising yearbook, newspaper and literary magazine, Janet McKinney retired from daily work in the classroom but not from journalism education. As an independent yearbook consultant, she works with high school yearbook advisers and staffs to improve the overall quality of the final product and to improve marketing of the yearbook. While judging for seven different state organizations and three national critique services, she continues to update suggestions to student journalists to practice the best in 21st century student publications. Recognizing her decades of advising students to achieve individual and staff awards, the Journalism Education Association presented the Lifetime Achievement Award to McKinney. During her tenure, yearbook and newspaper staff members earned national awards including Gold Medalist, Silver Crown, All-American and Pacemaker. Although a speaker at state and national conventions, her favorite experience is working with students at HSJI and serving all journalists as the yearbook coordinator. Currently, she is updating materials and samples from all yearbook companies for HSJI yearbook editors and staff members. A member of the JEA Press Rights Commission, she received both her bachelor’s and master’s degrees in education from Indiana University. Kathleen Mills received her bachelor’s and master’s degrees from Indiana University. She advises The Optimist at Bloomington High School South, where her students regularly win writing awards from Quill and Scroll. She is also a freelance writer who has published in The New York Times, Mademoiselle and The Indianapolis Star. Denise Roberts has advised yearbook, newspaper, web page, magazine and broadcast staffs for the past 28 years. She taught at IUPUI School of Journalism for several years and has taught at HSJI for 20 years. Her forte has been launching and revitalizing scholastic journalism programs, including overcoming an inherited debt of $24,000 at Greenwood High School, where she has taught for the past 23 years. Roberts’ students have earned Indiana Student Journalist of the Year and runner-up recognition, Hoosier Stars, Harvey Awards, Pacemakers and national convention Best of Show awards. Meanwhile, she has earned her Master Journalism Educator from the Journalism Education Association and her master’s degree in educational leadership through IU. Although a licensed principal, this 2000 Indiana Journalism Teacher of the Year has opted to stay in the classroom doing what she loves: teaching. Grace Waltz plans to teach secondary English and journalism. She will complete the Transition to Teach program at the School of Education in May 2019, and she looks forward to helping students tell beautiful stories through video! She worked as a video producer after having received her degree from Indiana University’s Media School in 2016. Her experience with documentary-style video production spans from solo, run-and-gun shoots to international, multi-person crew productions. marketing intern for Global Gifts. After graduation, Catherine hopes to work for a nonprofit in graphic communication or media relations. Mitch Boyd is a senior at Indiana University Bloomington studying Secondary English Education. Originally from Fort Wayne, IN, and a graduate of Homestead High School, his Indiana roots are strong. This is his first year as a counselor, and he’s very excited for the opportunity to work with high school students who are passionate about journalism. Although he doesn’t have much experience on the writing side of journalism, he reads plenty of it and has always prided himself on his writing ability. Additionally, he’s worked with high school students at several schools in the Bloomington area, and has greatly enjoyed every experience. Overall, he is excited to learn a lot through this fun experience and to meet more interesting people passionate about writing! Head women’s counselor Tatiana DeWitt is a senior pursuing a degree in secondary education with a concentration in English. DeWitt has worked as a columnist for the Indiana Daily Student and served as the copy chief for the Arbutus yearbook in 2015-16. DeWitt attended HSJI twice during high school for both newspaper and yearbook and will return for her third year on staff with the institute. She says being a counselor has been one of the most rewarding experiences she has had at IU, and she looks forward to working with the next group of HSJI students. Head men’s counselor William DeWitt is a 2017 Indiana University graduate with a bachelor’s in sports communication. During his time at IU, he worked as a sports broadcaster for the student radio station WIUX, a co-host of The Assembly Call podcast, and also served as a writer for IU Athletics. Currently, DeWitt works as a marketing technologist for Rainmaker Digital and hosts his own podcast, Da Bears Brothers – a leading podcast that covers the Chicago Bears. This is his third year as an HSJI counselor. George Roberson is a master’s student studying media at Indiana University. He received a Bachelor of Arts in political science from the University of Missouri, where he was also managing editor of the student newspaper. He has been a copy editor at the Augusta (Ga.) Chronicle, and he is currently a graphic designer for IU’s English department. George is also passionate about biking, cooking and basketball. Josclynn Brandon is a first-year doctoral student studying Higher Education. Prior to transitioning to a career in Higher Education four years ago, Josclynn worked as an Associate Content Producer at a television station in Chicago. Even though she’s no longer working in journalism, she still has a passion for news and consumes it several times a day on various platforms. This is Josclynn’s first year working as a Teaching Assistant for the HSJI and she’s really excited about working with the students in and outside of the classroom. Sonia Holl is a Master’s student in the Media School at Indiana University. She’s previously worked in film production in her hometown of San Antonio, Texas. As an undergrad, she studied communication as well as Chinese. Here at IU she’s helped teach production and design, focusing on photography, video production, and graphic design. Though her current studies focus on video games, she has an interest in journalism and news production and is looking forward to working with the HSJI.